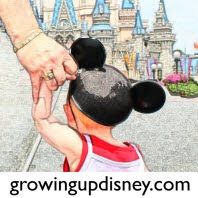 Growing Up Disney: Happy Father's Day! I hope all the fathers have a wonderful day. Thanks for all you do! My girls and I have been blessed with an extraordinary bunch of men in our family.